First-Round Voting was held from October 16th to 29th, 2017. 25-Second Promo Video: "Neotolian Song" by Neotolia. 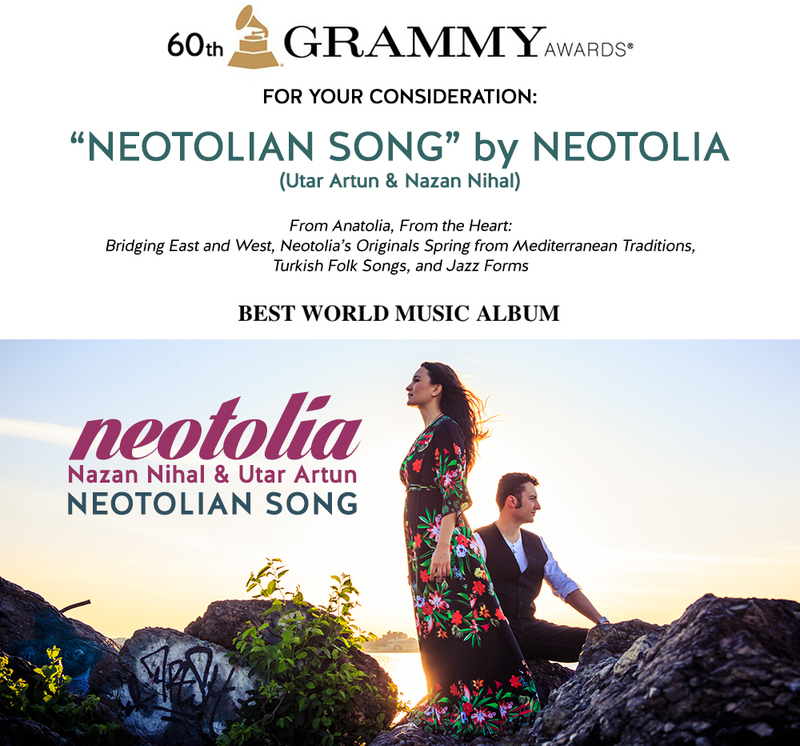 For Your Consideration in the 60th Grammy® Awards! In the BEST WORLD MUSIC ALBUM category.